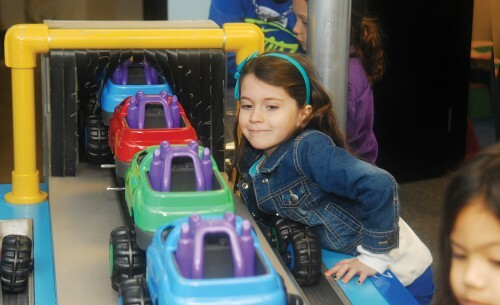 The National Corvette Museum has received a $1,000 grant from Macy’s to support youth Engineering with Minecraft Camps. Across the country, support from Macy’s and Bloomingdale’s giving programs helped sponsor free admission to museums and exhibits, special musical performances, art exhibits, and art and theatre workshops for children. Bowling Green’s Macy’s has continued to partner with the Museum by offering a Corvette Store presence within their Greenwood Mall location. Additionally, the Museum loans Corvettes to the store for display as a way to cross promote the brands. Labor Day Weekend, as part of the Museum’s 21st Anniversary Celebration, Macy’s will be display two additional Museum-owned Corvettes, a 1959 and a 1966. View and register for upcoming camps here.